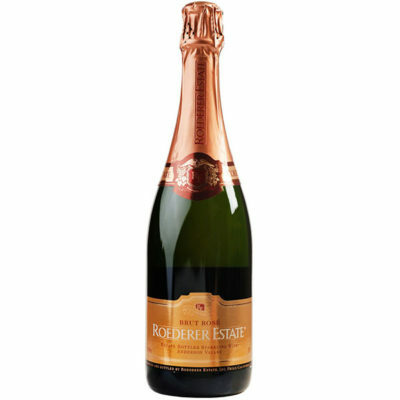 Year in and year out, Roederer Estate’s Rosé ranks with the best of its class, and this latest offering gets very high marks for its fine champenization and buoyant fruit. It is quite firm in balance with plentiful, pinpointy bubbles, and its seamless mix of bright berries and creamy yeast goes on and on at the finish. It steers away from the slight astringency that marks some of its cousins, and, while it will shine with foods ranging from duck to salmon, it is downright delicious on its own.